BACKGROUND NOTES: Born, was educated and lives in Seoul. Family – father, disabled – stepmother, seamstress – mother, English, unknown – uncle, runs school for North Korean defectors – previously of interest to security, should be monitored. Shows commitment to working in English. Professional, self-contained. 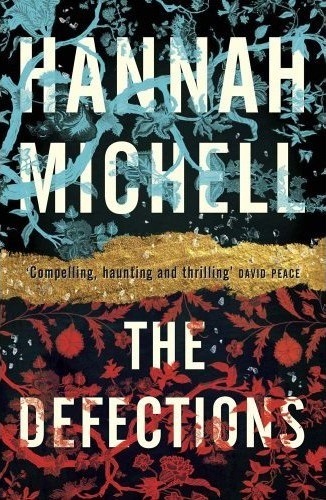 So reads the teaser on the back cover of Hannah Michell’s first novel, The Defections. If that’s not enough to draw you in, the first six pages certainly will, teeing up interest and mystery in abundance. The first three pages set the scene of Mia’s childhood. She was born on the day of Park Chung-hee’s assassination. Unusually for mixed-race Koreans, it’s the mother who’s the foreigner. Mia never knew her mother and is bursting to find out things about her. But her father and stepmother will say nothing – the former because he has had a stroke and seems to be dumb; the latter… well, we don’t know. No doubt, we will find out in due course. Her stepmother tells the story of her birth: “… it was your green eyes … It was a reminder of the line crossed. Borders disobeyed”. She comments that the night of President Park’s death was a night of betrayals. “What happened to the President, it’s like what your father did to me,” she tells Mia. It’s part of a pattern of mental and physical abuse which Mia seems to have been subjected to – and of course also makes us want to find out about the story of Mia’s mother and stepmother. The second three pages fast forward to the present day, when Mia is working for a new Political Counsellor at the British Embassy in Seoul, an intriguing character who seems to attract the embassy wives like moths to a flame. We discover that Mia almost died and had a period in hospital. We want to know why. And we also find that Mia is a talented translator: her encapsulation of the Korean word jeong as “a deep attachment rooted in shared history regardless of whether you like it or not” seems to encapsulate the idea rather well. But Mia seems unable to satisfy her boss professionally, despite her obvious talents. In fact she seems unusually anxious to please him, and you wonder why it is that her boss seems to set the bar so high for her. The scene seems to be set for a family drama with some love interest thrown in. After such an intriguing opening few pages, the pace thankfully slackens for a while. If the list of backstories we want to learn about grew any longer at that speed, we’d soon lose track. We are introduced to more characters, each of whom seems to have a past in which secrets are buried – secrets which will ultimately be revealed during the narrative and cast light on why the characters behave as they do. The uncovering of these secrets provides more than enough narrative interest for a very satisfying novel on its own, but then the main storyline kicks in – featuring North Korean defectors, the South Korean National Intelligence Service, border crossings and infidelities of different kinds – and the narrative picks up pace as the family drama becomes a spy thriller. Set at the time of the 2008 beef protests and something very similar to the Cheonan incident, the story is grounded in contemporary South Korea, and the central character’s confusion about her mixed-race identity is entirely believable. And with a return to the subject of jeong in the final pages the novel has a satisfying sense of unity and completeness. In fact, the novel is so rich with ideas that you wonder if the author has used up her store of inspiration. I do hope not. This book is so enjoyable that I want to read more from Hannah Michell. Available at Amazon.co.uk in Hardback | Kindle from the beginning of January 2014 or Christmas Eve this year in the case of the Kindle version. Most foreign marriages in Korea are to Korean men. In just about any country, men are more likely to take a foreign spouse in their home country than women are. That makes all minority females more likely to be married to a native spouse than a minority male to be married to a native spouse. Good point. But I suspect if we look at marriages between Koreans and Europeans we might see a different picture. Should have made that clear.